Welcome to another challenge from Can You Case It! This week, it all about our furry friends and companions - we have a "Pet Sketch" challenge for you! That is it! For real! Go check out all of the awesome Design Team Member's creations! And don't forget to like our FB page as well! We list all of our weekly challenges and other awesome info there- you don't want to miss out! Love this, Amber! It's simply adorable. Thank you, Jeanne! I agree! Amazing design! I love the heavenly clouds and paw! Amber, I love the design you did to remember those we have lost. Beautiful. Awww, this is so touching and beautiful. I love the contrast of colors, and the stitching. Gorgeous! Thanks! Clean n simple is my motto! I love this card! 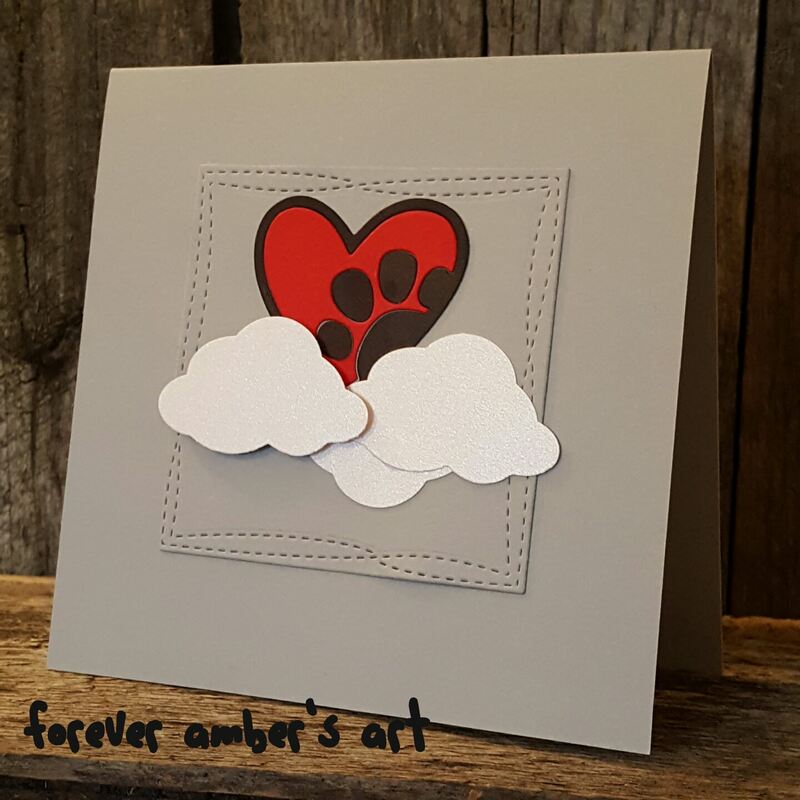 It is a perfect pet sympathy card!